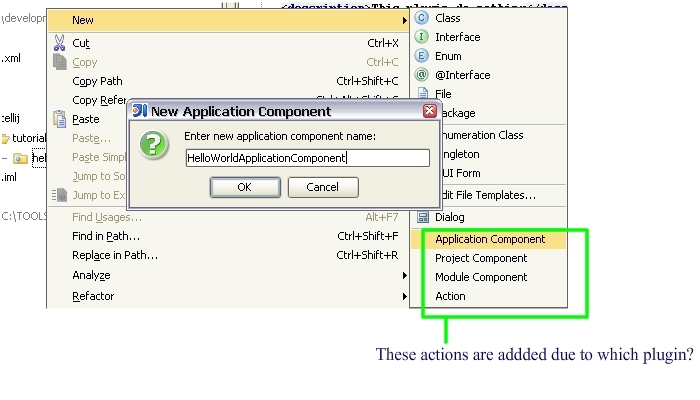 the Application component ,project component etc. the plugin inserts the options marked in the picture attached . y> the Application component ,project component etc. y> the plugin inserts the options marked in the picture attached . It's the standard DevKit plugin included in IDEA 5.1 distribution.